An angry boyfriend of a fast-growing Ghanaian actress, Fella Makafui, has closed the wine shop that opened for her after she claims that she is no longer faithful and has completely changed since she found fame. 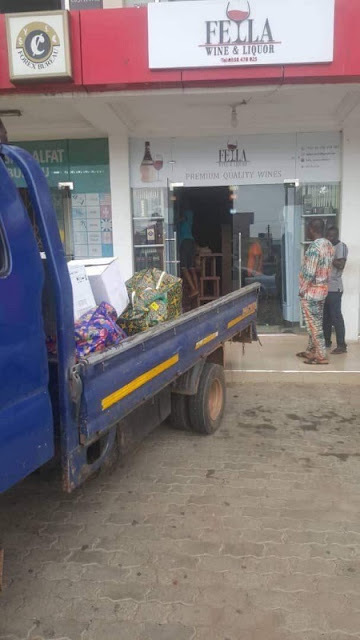 According to Ghpage, the rich boyfriend of Fella Makafui, with whom he has left for almost 5 years, rented the wine shop located in East Legon, as well as his current three-room apartment. But in recent times, the man who has plans to marry her in the near future says he is cheating and his attitude has changed completely since he found fame. The connoisseurs, familiar with the issue between the two, say that their boyfriend can no longer contain the behavior and that they have taken action against Fela Makafui. A source is quoted as saying: "She does not respect the guy anymore. On many occasions, she has asked for an end to the relationship, but every time the child tries to move on, her parents will intervene and reassure her. "This is the fourth apartment that the same guy has rented him in. 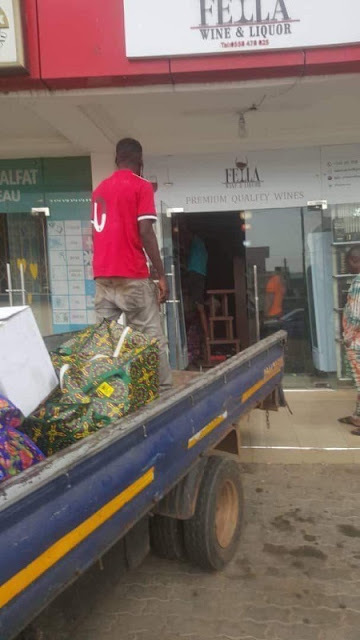 What made him furious is that recently, he saw a four-wheel drive in the house and when he asked the owner, Fella gave him a cheeky answer and decided to finish with everything. and that's why he's closing the store, which he rented for her. " Here are the photos of the closed Fella Makafui wine shop.